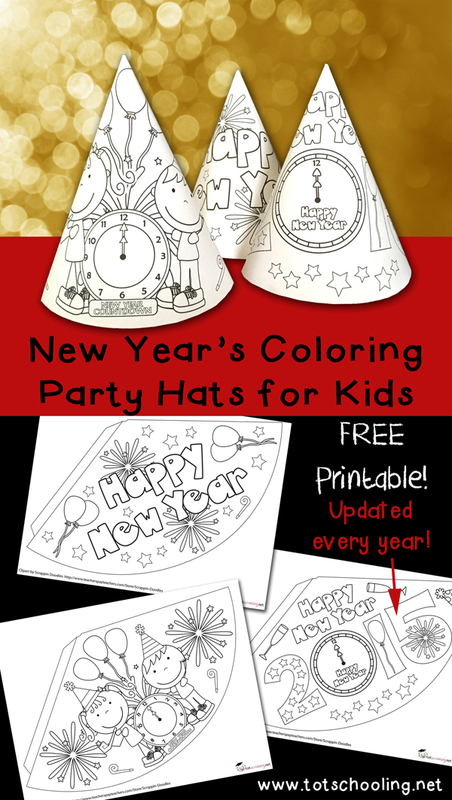 Whether your kids will be staying up until midnight or not, they can still celebrate the New Year with these fun Coloring Party Hats! Just color, decorate and turn them into party hats. Kids will love this fun and creative way to ring in the New Year! These Free Printable Party Hats are a perfect easy activity for kids to do while waiting for the New Year. 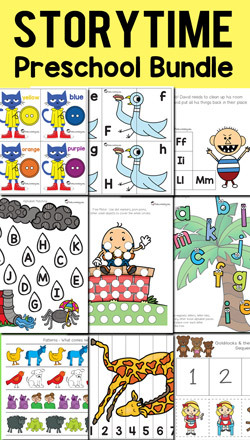 You can print these on regular paper or cardstock for extra durability, then have the kids color and decorate. After they finish their artwork, cut them out, tape or glue where the tab is, and attach a ribbon or elastic. 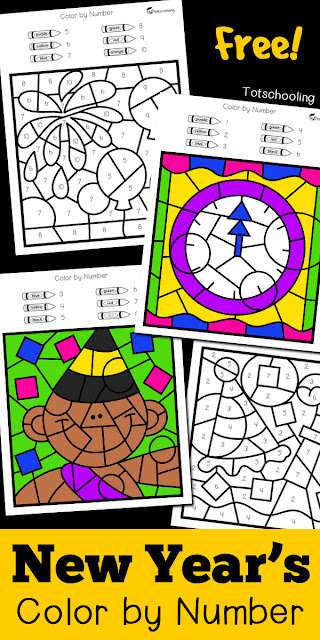 Click here to Download your FREE New Year's Coloring Party Hats! Amazing idea! I will get this for my kid’s birthday celebration. I have already booked one of the New York venues for his birthday party, and I am sure kids will have great time coloring this. I am happy I came across this post at the right time. I just printed the hats and I'm thinking about printing the color by number pages, as well! These are all so cute. Thank you for sharing! Thank you! We used them today and we had a blast decorating them.